Dedicated fax & phone numbers, online payments, updated scheduling widget, food & exercise logging. We are getting ready to release a series of updates that we hope you'll love. Each upgrade contains a number of long-requested features, with the first becoming available March 10. There should be no service interruptions during the updating process. Further updates should follow in April and May. 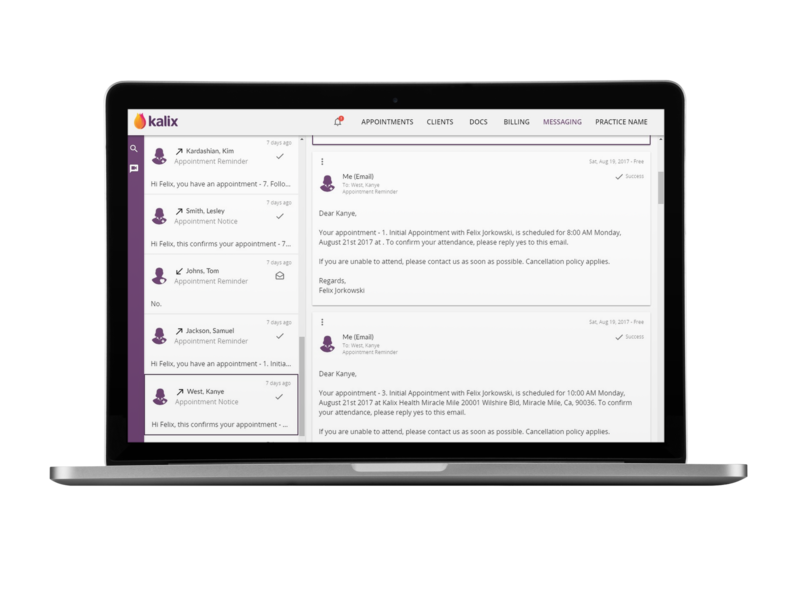 Messaging Inbox - see all messages sent and received via Kalix. Messages will be arranged into conversations. Reply to messages directly from this page. 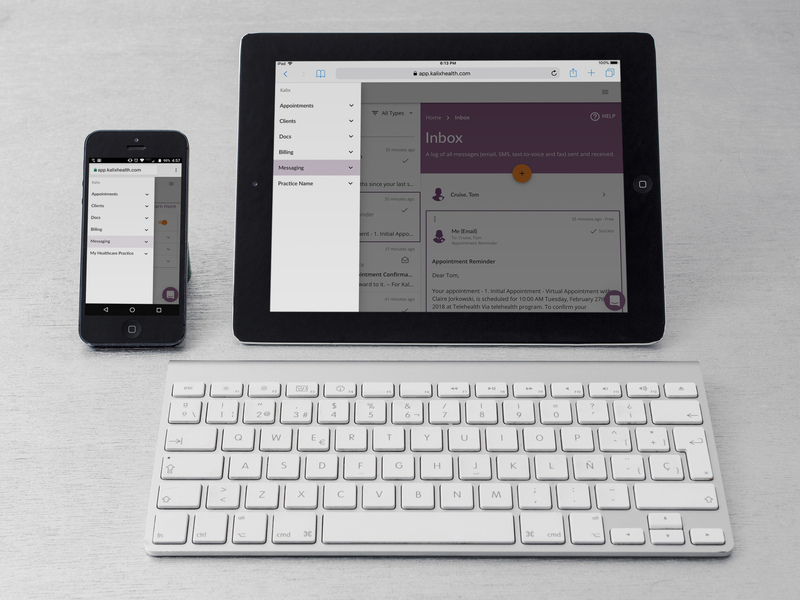 Improved Smartphone & Tablet Navigation - quicker navigationaround Kalix via a side menu. Dedicated Phone & Fax Numbers - the ability to purchase your own unique fax and phone numbers, or to port an existing number. By using a dedicated number, you will able to receive faxes and text messages from individuals that are not in the Kalix program. We are working on other updates co-currently. These will be released over the following few months. Integrated online payments via Stripe or Square. Upgrades to the scheduling widget including the ability to customize its appearance and accept payments. 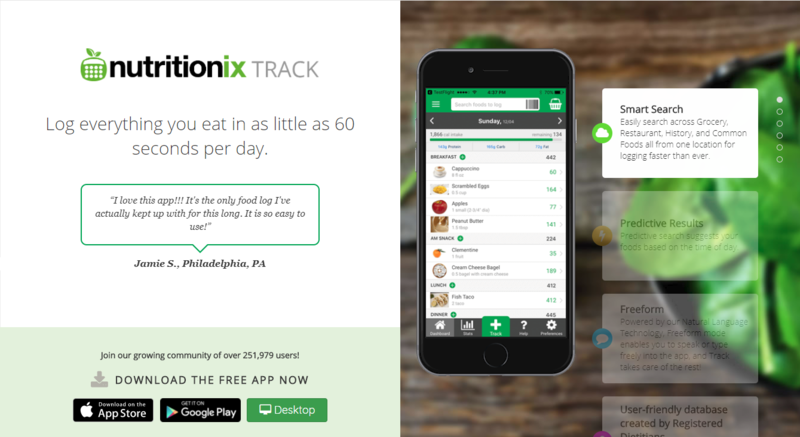 Integration with Nutritionix Coach Portal (food logging app). 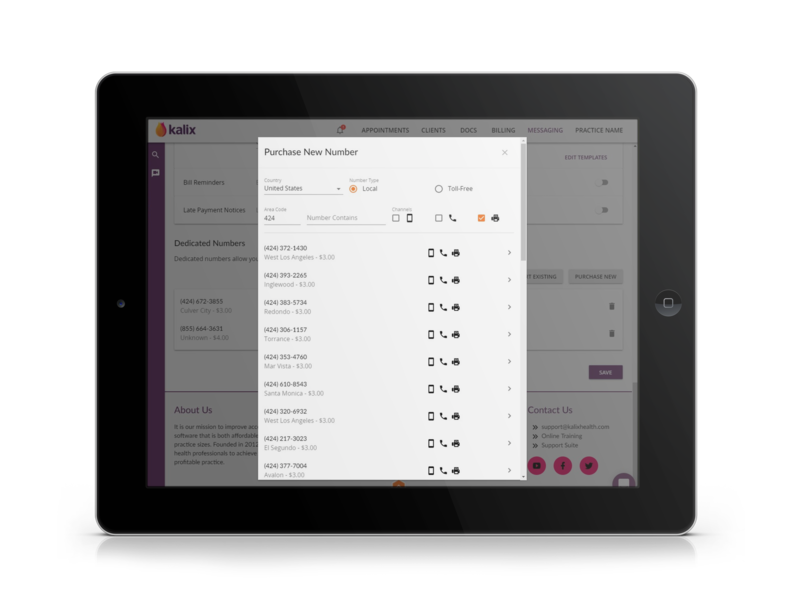 Increased telehealth support iOS 11 (iPads and iPhones) and Safari 11 support for Kalix's telehealth feature.